Costa Rica 5 Tips to Know Before You Go. Costa Rica is an amazing place to visit but planning your trip can be quite overwhelming. 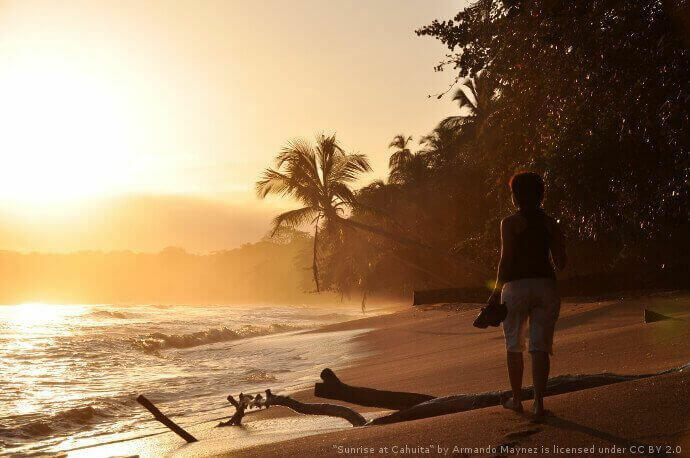 We are here to help you with 10 tips you should know before coming to Costa Rica. Costa Rica is a small country, however it cannot be traveled quickly especially if you follow our tips. Though the road quality is generally good, there are many single lane roads here. There is is a ton of congestion and factors that will likely make your trip longer. So always plan for any travel in the country to take longer than expected. We have some tips here on driving in Costa Rica to help you out. Though Costa Rica is in Latin America, it is not as cheap as you might think. Tours can be quite costly and most can range between 50 and 100 dollars per person. Food prices are about the same as the US, although you can find cheaper options at local spots like sodas. There are many effective ways to save money here in Costa Rica. Popular places found in the US can actually be more expensive in Costa Rica. No matter what season, Costa Rica has rain. It is the rain forest after all. Even though it rains most days in the rainy season that should not stop you. Generally the rain is just in short bursts during the afternoon and night. An umbrella or at least rain coats should be on your packing list. There are some up sides to this however. Hotels and rental car agencies generally charge less during the raining seasons. If the idea of having a rainy trip bothers you try to plan your trip for January or February as they are the dry months of the year. You may purchase a international calling plan before coming. If that is not the case do not fear, almost all establishments have free wi-fi. You can use an app like WhatsApp or Facebook messenger to talk to friends and family at home for free. Another note, if you have an unlocked phone you can easily get a prepaid sim card and service when you get here to make sure you have internet everywhere. The traffic is frequently congested due to one lanes and poor road layouts. You will commonly see people driving on the wrong side of the road to avoid pot holes and objects. Cars and motorcycles will pass on both sides. Traffic jams are also quite common. When you get outside of town though, everything is much more calm and driving is quite easy. Try to be aware of where you are going as you may need a 4×4 vehicle to access certain areas in Costa Rica, and Target offers a wide variety to choose from.